CHAPEL HILL, N.C. (MarketWatch) — The most important revelation in Warren Buffett’s latest annual letter — released this past weekend — is how modest his performance has been. The book value of his company, Berkshire Hathaway /quotes/zigman/219651/composite BRK.A -0.22% , /quotes/zigman/583979/composite BRK.B -0.11% grew just 6.4% in 2015. And last year wasn’t an aberration: His 15-year annualized return also is in the single digits. A visitor from another planet would wonder why Buffett is considered the most successful investor alive today. After all, triple-digit — even quadruple-digit — annual returns are regularly advertised on the Internet. For example, the website on which I read a summary of Buffett’s annual letter contained an advertisement for a newsletter whose recent performance is 4,096% on an annualized basis. I wonder how many detected the irony. To be sure, most readily concede that advertisements like the one I referred to above are exaggerated. But I find that investors nevertheless tempted to sign up anyway, reasoning that even if the returns are inflated by a factor of two, three, or even four then they still are impressive. These investors’ reasoning illustrates what marketers sometimes call the “bigger lie theory:” Making a claim that is so outrageous that no one would suspect that the person making it has little or no basis for it. I know you’ll be shocked to learn that some investment advisers’ performance claims have no basis in fact whatsoever. The chart above illustrates this regression to the mean using the investment newsletter track records calculated by the Hulbert Financial Digest over the last four decades. The chart shows the investment strategy with the absolute best annualized returns over various periods through the end of this past January. Notice how the returns quickly decline as you focus on periods longer than the recent past. By the time periods are measured in decades rather than years, the best returns among those I monitor are less than 15% annualized. It’s this decades-long perspective that showcases Buffett’s real achievement: His annualized return since he took over Berkshire Hathaway in the 1960s is just shy of 20% — markedly better than not just the best investment newsletter, but the best mutual fund or institutional money manager. 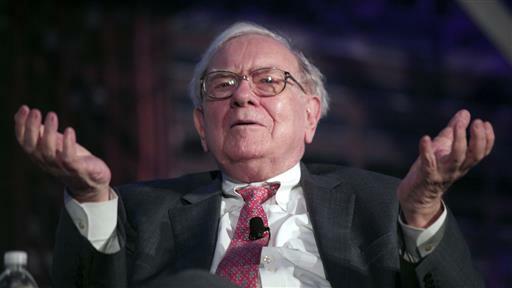 This is why Buffett is widely heralded as the most successful investor alive today. The bottom line: Buffett’s modest performance over the past 15 years can teach us what is realistic in the investment arena. If the most successful investor alive today was able to deliver just single-digit gains annualized over a 15-year stretch, then what are the chances we can do better? Call me if you think you can: I have a bridge to sell you. Get news alerts on Berkshire Hathaway Inc. Cl A and Berkshire Hathaway Inc. Cl B — or create your own. Mark Hulbert is editor of the Hulbert Financial Digest, which since 1980 has been tracking the performance of hundreds of investment advisors. The HFD became a service of MarketWatch in April 2002. In addition to being a Senior Columnist for MarketWatch, Hulbert writes a monthly column for Barron’s.com and a column on investment strategies for the Journal of the American Association of Individual Investors. A frequent guest on television and radio shows, you may have seen Hulbert on CNBC, Wall Street Week, or ABC’s World News This Morning. Most recently, Dow Jones and MarketWatch launched a new weekly newsletter based on Hulbert's research, entitled Hulbert on Markets: What’s Working Now.